TestM Lets You Check the Health of Any Smartphone in 5 Minutes! Home Mobile TestM Lets You Check the Health of Any Smartphone in 5 Minutes! This post has been sponsored by TestM. Smartphones have become an integral part of our lives and more often than not we are completely dependent on them. We make use of our smartphones for even the most simplest of things and can’t help but panic if something happens to our precious devices. In times like these we have to rush to a repair center to diagnose the problem and end up spending hundreds of dollars on the same. 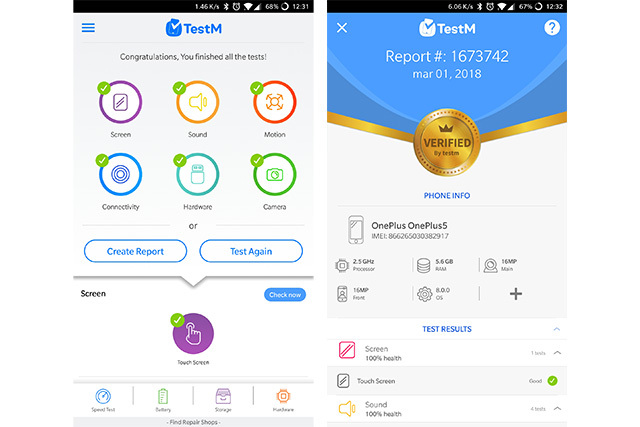 However, TestM is a unique app which lets users self-diagnose their smartphones for any hardware related problems and even allows them to conduct routine checks to prevent any hardware failures. 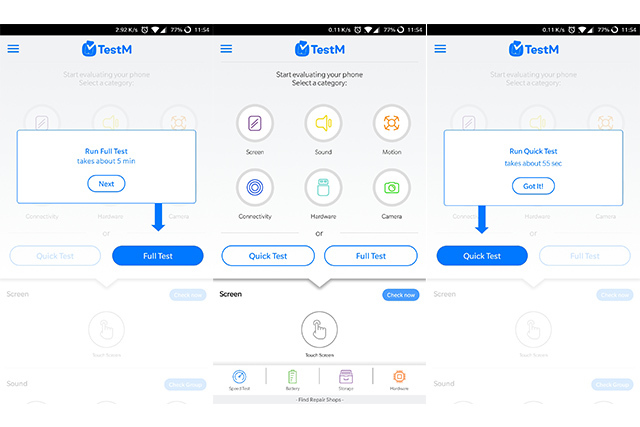 The TestM app, which is available for both Android and iOS, allows users to check their smartphones using a series of hardware tests. Prospective buyers and sellers can test their smartphones and generate a comprehensive report which outlines all the issues found on the device. Not only does the app allow the seller to ask for a fair price, but it also gives confidence to the buyer to go ahead with the deal. Additionally, the app also allows users to diagnose issues with their phone if something goes wrong and even suggests nearby repair shops where they can get the issues fixed. 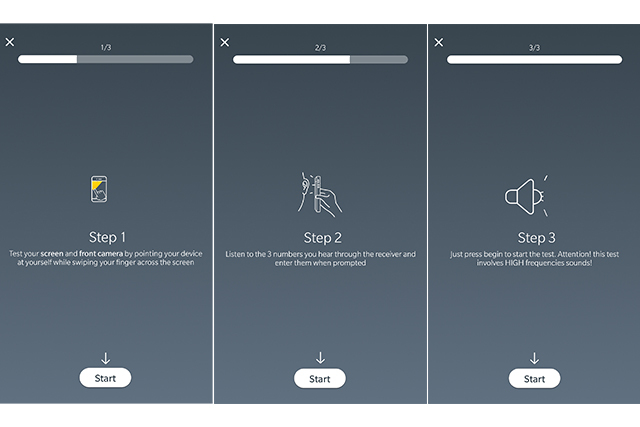 The TestM app on Android has a easy setup process which you can breeze through in just under a minute. During the setup process, the app highlights most of its features, all of which can be used to generate a detailed report of the device being tested. The tests are divided into different hardware categories and users can choose to test a particular component or run comprehensive tests to diagnose hardware issues. It also has a number of other features which provide detailed information about the device’s battery, etc. The app has a comprehensive test mode which you can complete in around 5 minutes. The full test includes a touch screen test, a speaker test, an earpiece test, a microphone test, a headphones test, and a bevy of other sensor tests which can successfully identify any issues that might plague your device. 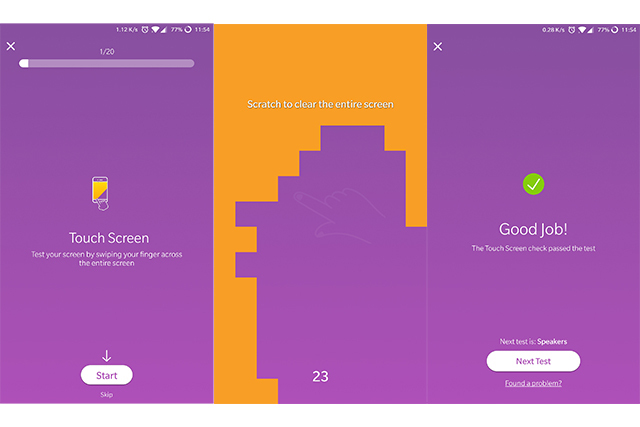 The full test is divided into 20 steps and the app provides detailed information about each interactive test and what the user has to do on each step. I highly recommend that you take the full test as soon as you download the app, as it is capable of successfully isolating any hardware issues that you might be facing. 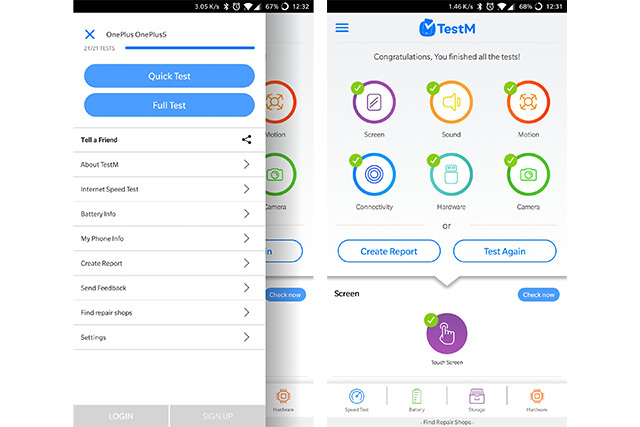 Upon completion of the Full Test, the app generates a detailed report about the device which is divided into categories with a score for each category. The TestM Report lists down all of the smartphone’s details along with the detailed test results for each hardware component. 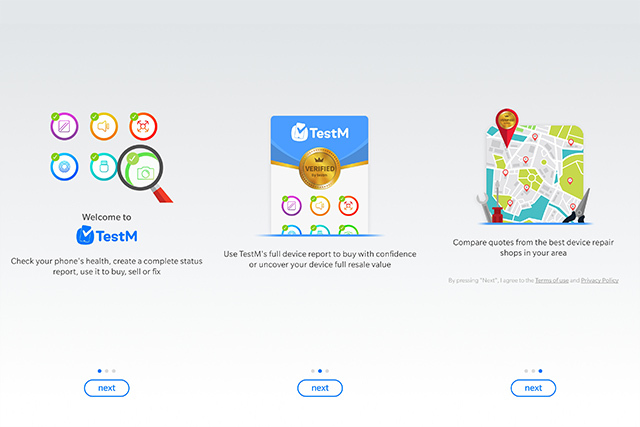 The TestM Report not only provides detailed information for each hardware test, but also gives the device a ‘Verified by TestM’ badge which comes in handy while selling or purchasing a used smartphones. The test report boosts transparency between the buyer and the seller, and also prevents con-artists from selling defective smartphones to unsuspecting buyers. Additionally, the app allows users to share the report from within the app and even attach it to the smartphone’s listing if they’re selling it on an e-commerce platform. The quick test on the other hand is rather short and can be completed in just under a minute. Just like the Full Test, the Quick Test is divided into steps, but since this is a quick test, there are just three steps in total. Unlike the Full Test, which tests one hardware component per step, the Quick Test has been designed in a way that each step is capable of testing multiple components. 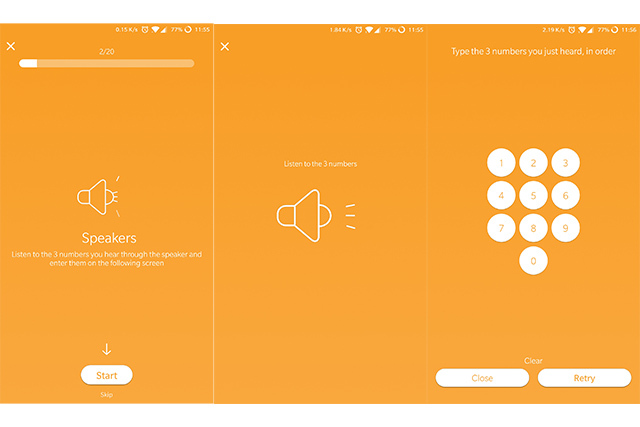 The first step in the Quick Test checks for issues with the screen and front camera, while the second step tests the proximity sensor and the earpiece, and the third step tests the speakers and microphone by emitting high frequency sounds. Yet again, my phone was able to complete all the steps successfully without any issues. The app can also test a smartphone’s battery and provides enough information to determine whether the battery has deteriorated or not. 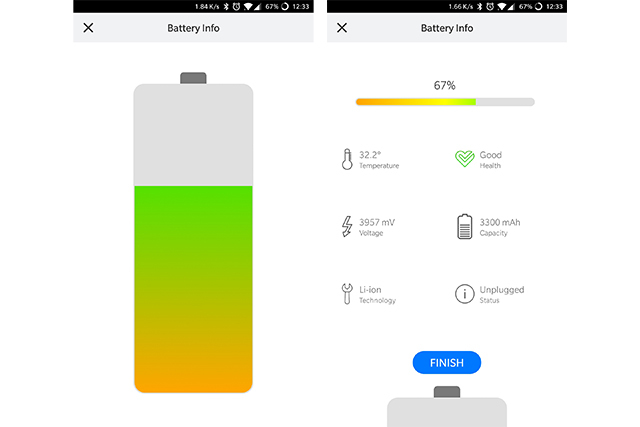 Unlike other tests on the app, there are no steps to the Battery Info test and it quickly provides information about the battery temperature, battery health, voltage, and current status. Another very handy feature in the app is that it suggests nearby repair shops where you can get your smartphone fixed. While the app didn’t list any repair shops near me, it did provide an option to add a nearby repair shop to the database. The TestM app has a fairly simple and well designed user interface. Even though the tests may sound a bit too technical, the developers have done a great job in simplifying each step. All the tests have their own large icons on the app’s home screen, which are color coded according to different components. So identifying and testing out a particular component is quite easy. Additionally, if you don’t want to go through the trouble of testing individual components, you can also select the Quick Test or Full Test options from the home screen. Other options, including the Battery Info test, the Internet Speed Test, and the find repair shop feature, among others, are listed within the hamburger menu. In my opinion, anyone who can comprehend simple instructions can carry out the tests without any issues whatsoever. TestM is a great app which allows users to self-diagnose any hardware issues with their smartphones. 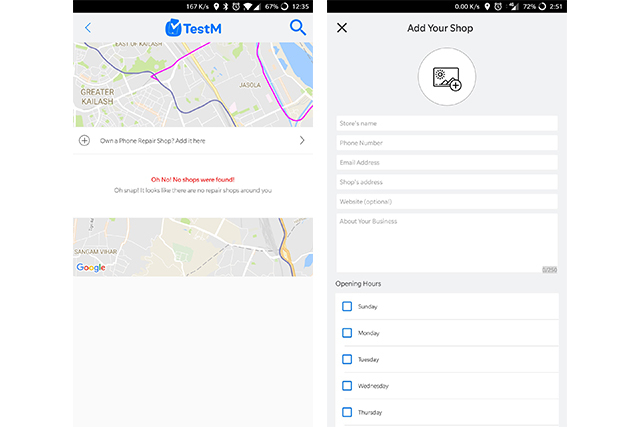 The app not only helps users identify problems with their device, but also suggests nearby repair shops where the users can get their device fixed. Additionally, the app can come in handy if you’re dealing with used smartphones. The comprehensive hardware test report is enough to strike a fair deal and also prevents con artists from scamming unsuspecting buyers. With TestM’s detailed hardware test report you can rest assured that you’ll not get conned by shady repair shops or second-hand smartphone dealers trying to make a quick buck.